Run and gun ice fishing on Mille Lacs Lake for aggressive walleye. Jason Mitchell joins Clam Pro Mike Rodger to discuss strategies for finding and catching Mille Lacs Walleye on the mud flats. Mille Lacs is still a tremendous ice fishing opportunity for catching quality fish. Aggressive walleye that respond well to aggressive jigging tactics using the Clam Rattling Blade Spoon. 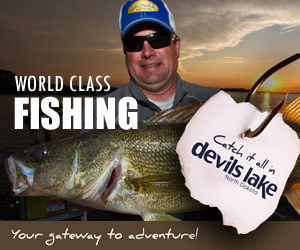 Get the information on how and where to catch winter walleye on Mille Lacs.